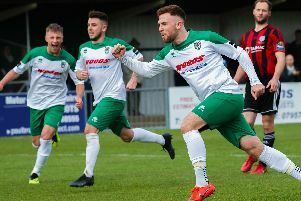 Walsh believes the Rocks can put behind them the disappointment of the latest defeat, a 2-1 reverse at home to Brightlingsea Regent on Saturday, and head to the crucial tie still full of belief. 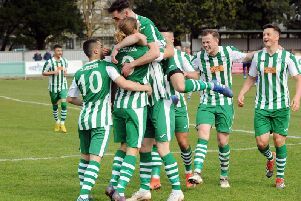 The winners of Tuesday’s game at Culver Road, Lancing (kick-off 7.15pm), will go through to meet Burgess Hill Town in the final at the Amex, home of Premier League Albion, next month. Winger Walsh admits the recent spell - which has accrued one win in eight games, though three have been drawn - has left the outfit full of frustration. But he is counting on his team-mates to register the notion that the club's "magnificent fans” deserve something to cheer. He said: "Yes, it has been incredibly frustrating of late but it won't do any good lingering on the disappointment. We very much owe it to our magnificent fans to deliver a display that can get us to the final. "Our league form has dipped and that means that realistically we are now going to miss out on a chance of promotion through the play-offs and, of course, that is disappointing. "So, the cup game is very important. But in our way stand a young Brighton team who will be keen to impress their manager and reach the final in their home stadium. They have some very good players and they are professionals for a reason. "But although we are a young side we have lots of experience and we know that on our day we can provide them with a tough test. We will keep playing the football that we know we can, and that is instilled in us by both jack Pearce and Robbie Blake, and that won't change and nor should it. "We need to maintain a decent work rate and take a positive attitude in to the game and if we do that there is every reason to believe that we can give a good account of ourselves and reach the final. We'll certainly give it our all."